- 아래 플레이어에서 P버튼(플레이버튼)을 누르면 방송이 시작됩니다. - 대본을 보기전에 먼저 한번 듣고 전체 내용을 이해해 봅니다. - 내용이 충분히 이해가 가면 딕테이션(받아쓰기)에 도전해 보세요. - VOA 뉴스는 1,500개의 기본단어로 문장을 만듭니다. 모르는 단어가 많으면 VOA 기본어휘 1500을 학습해 보세요. A: Hey, what’s up with all these eggs? B: Tomorrow is Easter, so I’ve been dyeing eggs for the Easter egg hunt. A: Count me in! I want to hunt for eggs, too! B: Come on now, it won’t be fair for the kids. Just give me a hand dyeing all these eggs! A: Alright. By the way, how are eggs related to Easter? B: Good question. Pull out your i-phone and just Google it! A: Ahh~! It says here that Easter eggs symbolize Jesus Christ’s resurrection. B: See, you can become a walking encyclopedia with that smartphone! A: 이 계란들 다 뭐니? B: 내일이 부활절이잖아, 그래서 달걀 찾기 놀이에 쓸 계란을 예쁘게 물들이고 있는 중이야. B: 뭐, 그럼 아이들한테 불공평 하잖아. 잔소리 말고 와서 달걀 물들이는거나 도와줘! 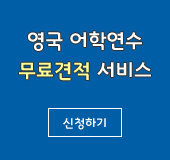 A: 알겠어. 그런데 계란이 부활절이랑 무슨 관계가 있니? B: 그러게. 아이폰 꺼내서 구글 검색 해봐! B: 봐, 스마트 폰만 있으면, 너도 걸어다니는 백과사전이 될 수 있어! A: Could you explain what Easter is? 부활절이 무슨 날인지 설명 좀 해주시겠어요? B: Sure. Easter is the day to celebrate the resurrection of Jesus Christ. 네. 부활절은 예수의 부활을 기념하는 날입니다. A: How do Americans celebrate Easter? 그럼 미국 사람들은 부활절 날 보통 무엇을 하나요? B: Christians and non-Christians alike participate or host ‘Easter Egg Hunts’ in their communities. I know that here in D.C., the White House is hosting an annual White House Egg Roll on the White House lawn. 기독교인들 뿐 아니라 예수를 믿지 않는 사람들도 이날 계란 찾기 놀이에 참가하죠. 이곳 워싱턴 DC에 있는 백악관에서도 달걀 굴리기 행사를 여는 걸로 알고 있어요. A: Have you ever participated in an Easter egg hunt? 계란 찾기 놀이 해본 적 있어요? B: Yes. I participated in the first Easter Egg Hunt at my community park when I was in first grade. For those who found the most number of eggs won a huge prize! Unfortunately I wasn’t the winner. 네. 초등학교 1 학년 때 한번 마을 공원에서 열린 달걀 찾기 행사에 참가 한 적 있었어요. 달걀을 제일 많이 찾는 아이가 우승하는 놀이였는데요, 전 안타깝게도 우승은 하지 못했습니다. What’s up with all these eggs? -What’s up? 은 ‘무슨 일 있니?’ 라는 뜻인데요, ‘Hi’, ‘Hello’ 처럼 ‘안녕!’하고 인사하는 말로, ‘Hey! What’s up’ 하는 경우가 많습니다. 상대방이 정말 무슨 일이 있는지 궁금해서 물어 보는 것이라기 보다는 안부 인사로, ‘what’s up?’ 이라고 말하는데요, 이 표현은 또 ‘What’s happening?’ , ‘What’s going on?’해도 같은 뜻입니다. 대답으로는 ‘아니 별일 없어’, 라는 뜻의 ‘Nothing much’, 또는 ‘Not much’, 할 수 있습니다. 본문 에서는 ‘Hey, what’s up with all these eggs?’ 했는데요, 이 계란들은 다 뭐니? 라는 뜻이죠. Tomorrow is Easter, so I’ve been dyeing eggs for the Easter egg Hunt. - Tomorrow is Easter 내일이 부활절이잖아, I’ve been dyeing eggs그래서 계란을 물들이고 있는 중이야 for the Easter egg Hunt, 부활절 계란 찾기 놀이에 쓸, 즉 내일이 부활절이니까 계란 찾기 놀이에 쓸 계란을 예쁘게 물들이고 있는 중이라는 말이죠. 그런데, ‘I’ve been dyeing eggs for the Easter egg Hunt’, 와 ‘I’m dyeing eggs for the Easter egg Hunt’ 어떤 차이가 있을 까요? When you say ‘I’ve been dyeing eggs’ you are saying that you have already started on coloring or dyeing the eggs. For example you can say, “I’ve been dyeing eggs since the morning. Also, if you want to say that you are currently coloring or dyeing eggs, you can say ‘I’m dyeing eggs’. I’ve been dyeing eggs는 과거의 어느 시점부터 지금까지 계속 계란을 물들이고 있는 중이다 라는 얘기죠. 그래서I’ve been dyeing eggs since the morning. 하면 아침부터 지금까지 계속 계란을 예쁘게 물들이고 있었어, 라는 뜻이죠. 반면에 I’m dyeing eggs, 는 (언제부터 계란을 물들이기 시작했는지는 모르지만) 지금 현재 계란을 물들이고 있는 중이라는 말이죠. A: Could you explain how this ‘the Easter Egg Hunt’ works? 계란 찾기 놀이는 어떻게 하는 건가요? B: Whoever is hosting it would hide hard-boiled colorful eggs in the field such as bushes, tree branches or elsewhere. 계란 찾기 놀이를 주최하는 사람이 우선 삶은 계란을 예쁘게 꾸민 후에 계란을 덤불이나 나무 가지 사이에 숨깁니다. Then all the kids run around with a basket searching for these hidden eggs. 그리고 아이들이 바구니를 하나씩 들고 숨겨진 계란을 찾아 다니죠. Whoever finds the most number of egg wins! 그리고 계란을 가장 많이 찾은 아이가 우승을 하는 놀이입니다. A: That sounds really interesting. ‘Count’ 는 동사로 ‘하나 둘, 이렇게 세다’는 뜻이 있죠! 그래서 ‘Count me in’ 하면 Count 세죠 me 나도 in 안으로 즉 ‘나도 끼워죠!’ 라는 말이죠! 반대로, ‘난 빼죠!’, ‘난 빠지고 싶어!’ 영어로는, ‘Count me in’ 에서 ‘in’의 반대죠, ‘Out’ 를 써서 ‘Count me out !’ 할 수 있습니다. Ex) 우리 이번 주말 동물원 갈건데, 끼워 줄까? 같이 갈래? Can we count you in on a visit to the zoo? No, count me out this time. I have a prior engagement. Just give me a hand dyeing all these eggs! Give someone a hand 는 ~누구 누구를 도와 주다, Could you help me? 와 같은 의미입니다. 그래서 본문에서 ‘just give me a hand dyeing all these eggs’ 하면 와서 이 달걀 물들이는 거나 도와주라는 말이죠! ‘Give me a hand’ 대신에 또 동사 ‘빌려주다’는 뜻의 ‘lend’ 를 이용해서 ‘lend me a hand or lend a hand’ 해도 도와달라는 뜻이있는데요, 그럼 ‘give someone a hand’를 이용한 예문을 조금 알아보고 갈까요? Ex) 저 좀 도와 주시겠어요? Could you give me a hand, please? = Let me give you a hand. 본문에서는 달걀 물들이는 것좀 도와달라, give me a hand 다음에 달걀을 물들이다 동사 dye, 뒤에 ing를 붙여서 dyeing all these eggs, 라고 했는데요, 그럼 예를 들어, ‘청소하는 것 좀 도와줄래?’ 영어로는, ‘Could you give me a hand cleaning the house?’ 할 수 있습니다. Ex) 이 무거운 박스 드는 것 좀 도와줄래? Would you give me a hand lifting this heavy box? How are eggs related to Easter? 계란이 부활절이랑 무슨 관계가 있나요? - How is something related to something, 이 표현 일상생활에서 정말 많이 쓰는 표현인데요, 예를 들어, ‘너 그 국회의원이랑 어떻게 연결됐어? 무슨 관계니?’ 영어로 하면요, 국회의원은 영어로, ‘congressman’, 이고요, ‘~와 관계가 있다’, ‘be related to’ 로 표현할 수 있죠? 그래서’How are you related to that congress man?’ 할 수 있습니다. ‘또 넌 저 여자분이랑 어떤 관계야? 네 사촌 이시니?’ 영어로 하면, ‘How are you related to her? Is she your cousin?’ 라고 할 수 있습니다. A: Are you related to Tom? B: No. He is not related to me. B: He is my best friend. Pull out your i-phone and just Google it! 아이폰으로 구글 검색을 해보라는 말인데요, Pull, P U L L 은 ‘끌다, 당기다, 꺼내다’는 뜻이 있는데요, 아이폰을 꺼내서 영어로 Pull out your i-phone 이라고 할 수 있죠. 예를 들어 경찰이 교통 법규를 위반한 차 운전자에게 ‘차를 길 옆에 대세요!’ 하는데요, 영어로는 ‘Pull over your car!’라고 하죠! Ex) 경찰은 그에게 교통위반으로 차를 길옆에 대게 했습니다. The police ordered him to pull over for a traffic violation. It says here that Easter eggs symbolize Jesus Christ’s resurrection. See, you can become a walking encyclopedia with that smartphone! 누군가 정말 모르는 것이 없는 박학다식한 사람에게, 쟤는 걸어다니는 백과사전이야, 라는 말 많이 하는데요, 걸어다니는 walking 백과사전 encyclopedia 해서 He is a walking encyclopedia 라고 하죠!